Eaton 5P is an energy efficient line-interactive UPS with advanced LCD and energy metering features. The graphical LCD display provides clear information on the UPS's status and measurements on a single screen. Enhanced configuration capabilities are also available with easy-to-use navigation keys. 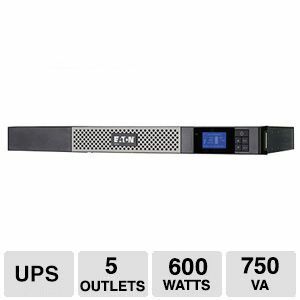 Pick up Eaton 5P 750 Rackmount UPS today!